Yu-Gi-Oh! TCG Event Coverage » Saturday’s ATTACK OF THE GIANT CARD!! Winners! 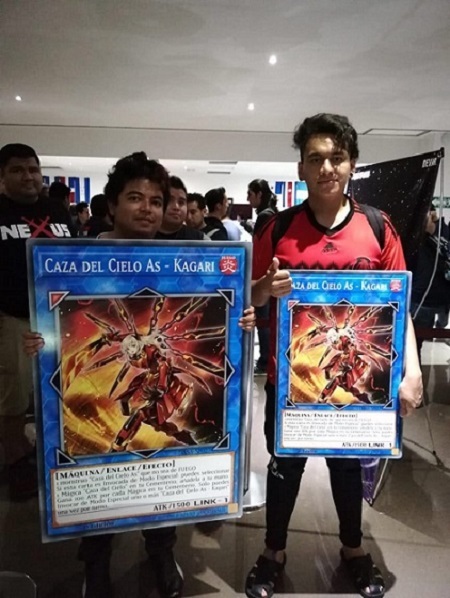 Home > 2018 Central America WCQ, Championships	> Saturday’s ATTACK OF THE GIANT CARD!! Winners! Check out the winners from Saturday’s ATTACK OF THE GIANT CARD!! Tournament here at the 2018 Central America WCQ! Cesar Eduardo Medina Garcia took first place in Saturday’s ATTACK OF THE GIANT CARD!! Tournament, earning himself a GIANT Sky Striker Ace – Kagari! For taking second place, Isaac Raymundo Curiel Marcelo earned a smaller (but still pretty big) Sky Striker Ace – Kagari. Dragon Duel Top 8 In Action! (Photo Gallery!) 2018 Central America WCQ and Dragon Duel WCQ Trophies!